When all is quiet on the farm, when everyone is asleep, when the snow covers the ground and stars twinkle in the frosty sky – that’s when Tomten wakes up. He looks after everyone on the farm while they are sleeping. Sometimes, you can see his footprints in the snow. That’s how you know he is real. Tomten has lived on this farm for many years. He has seen generations come, and generations go. But where do they come from, and where do they go? My absolute favourite Christmas Poem by Viktor Rydberg and an important part of my childhood. So is making. Everyone in Sweden makes lots of stuff all the time and making Christmas designs and decorations is the most fun. I use to make these kind of Angel cards when I was little. 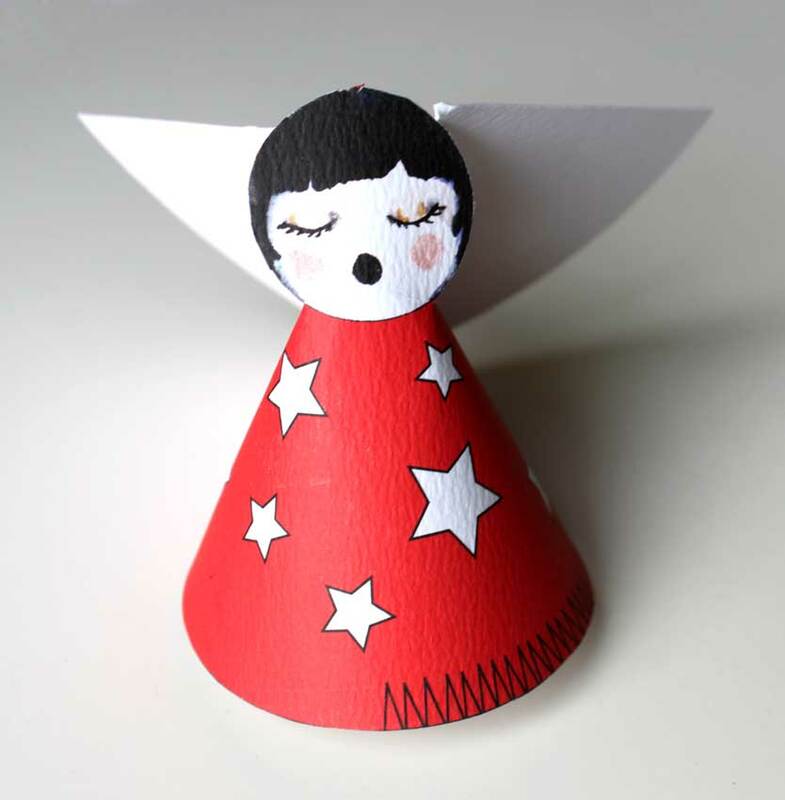 They come as a set of 2 Angels in a double sided card with instructions. All you do is cut them out and slot together, add a string if they are for hanging or else place them on the mantel piece or a table.